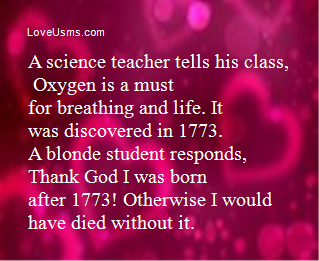 A science teacher tells his class, "Oxygen is a must for breathing and life. 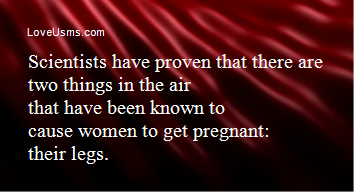 It was discovered in 1773." A blonde student responds, "Thank God I was born after 1773! Otherwise I would have died without it." Q: Why shouldn't you make fun of a paleontologist? A: Because you will get Jurasskicked. Helium walks into a bar and asks for a drink. 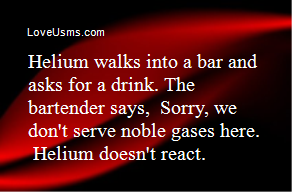 The bartender says, "Sorry, we don't serve noble gases here." Helium doesn't react. When Magnesium and Oxygen started dating I was like, "O MG!"